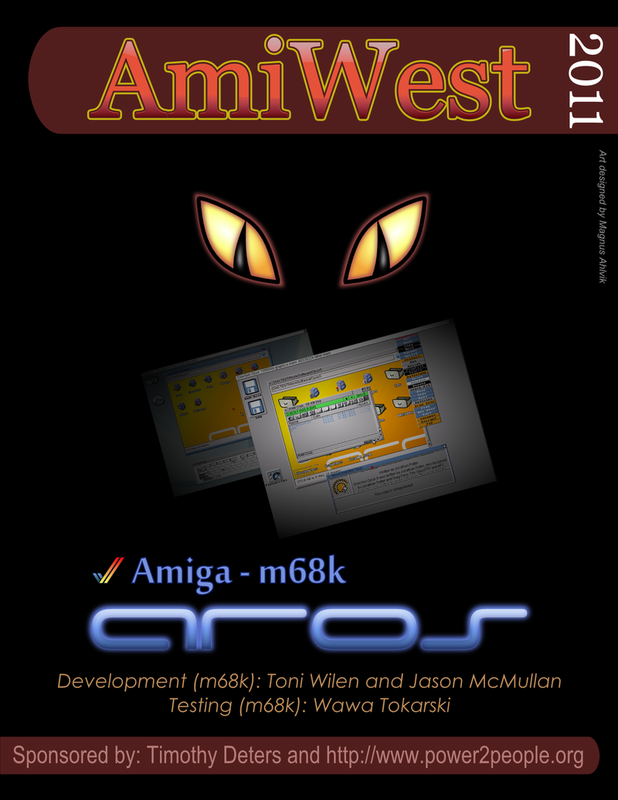 Poster for the AmiWest event in USA. AmiWest is a gathering where Amiga enthusiast meet to discuss the latest and greatest happening in the Amiga world. AROS was presented there so we needed a poster promoting AROS at the event. Made with Inkscape.